Give the gift that won’t be returned, in any amount you wish to spend. A tasteful gift of choices… exquisite cocktails, elegant dining, delightful luncheons and a grand selection of fine wines. 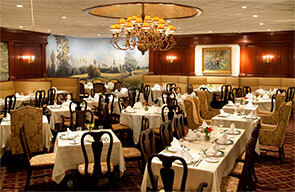 An experience of Continental Country Dining in a relaxed atmosphere. Save yourself the drudgery of searching through the mall! here’s the perfect gift for anyone on your list. 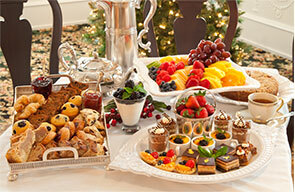 The award-winning William Penn Inn Sunday Brunch Buffet is renowned for overflowing tables of magnificently prepared hot and cold food selections. 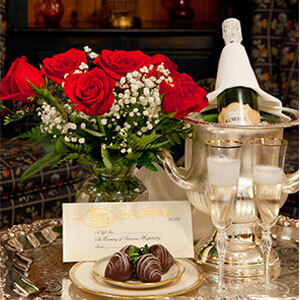 The ultimate gift for two… an enchanted evening of pampered luxury at the William Penn Inn! It begins with an overnight stay Sunday through Friday in one of our elegantly appointed guest suites where complimentary Champagne and a half-dozen roses arranged in a gift vase are waiting. A one hundred dollar gift card is presented for your dining pleasure in one of our award-winning restaurants, and after a good night’s rest, you wake to continental breakfast for two.